Fox News is no longer tweeting from the cable network’s main account, but that doesn’t mean that President Trump’s favorite channel has abandoned Twitter altogether. 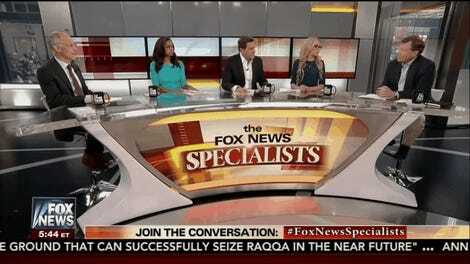 In fact, Fox News still relies on Twitter to harvest free content that airs on its network all day long. Fox News Channel sent its last tweet almost three months ago on November 8, 2018 reportedly because the network didn’t like the way that Twitter handled “harassment” against one of its stars, Tucker Carlson. The silent Twitter protest is ongoing, but the network is still getting plenty of free video from Twitter, all thanks to another account operated by Fox News. The Twitter account FNC Assignment Desk regularly tweets at people who post viral videos and photos. FNC Assignment Desk asks permission to use the content on air, but they have a mixed record of success. The responses to the account, which was started in May 2014, are about as polarizing as you’d expect, given the toxic nature of the programming at Fox News. Sometimes they get a positive response, like when Fox News recently asked to use this footage of Canadians playing hockey while stuck in traffic. And a writer at SB Nation was happy to let Fox News use her photos of football players kneeling for the national anthem. But Fox News also gets plenty of negative responses. Some people reply with a simple no, like this woman who captured video of protests after police shot 18-year-old Antonio Martin in 2014. Another woman even said “please don’t” recently when Fox asked if they could user her footage from a shooting in a suburban Chicago mall. Another Twitter user replied with “hard pass” when the TV network asked for permission to use a photo from a protest in front of the White House. And some people aren’t upset just because Fox News supports President Trump, an unindicted co-conspirator who may or may not be a real life Manchurian Candidate. Some Twitter users are angry because Fox News has allegedly used some videos after explicitly being denied permission to do so. The Fox News Assignment Desk sometimes deletes requests on Twitter when they meet a particularly harsh response, like this request from last year where the user said the network can “get fucked.” But Fox News allegedly used the video anyway. Another woman whose husband took photos of the MAGA bomber’s van told Fox News that they couldn’t use her photos. Fox News again appears to have used the photos anyway. Fox News isn’t the only news outlets to use Twitter like this. Every news organization does it, including respected news outlets and shady news outlets alike. The Daily Mail, which is notorious for using content without permission (I’d had my own negative experiences with them) has its own account specifically for seeking out permission. They also get plenty of negative responses. If nothing else, these accounts from Fox News and Mail Online are entertaining to follow because they give you an early look at what outlets like Fox News will be airing that day. But it also speaks to the way that free content on social media platforms like Twitter is changing how news is gathered and monetized. In the old days a TV station might have to hire someone to go to the scene of an accident or a natural disaster. But today, news outlets (Gizmodo included) have a vast army of citizen journalists posting content for free. That’s great for learning about what’s going on in the world. But it’s less fantastic for the older ways of gathering news that keep people employed. In related news, Buzzfeed recently laid off the person who was responsible for making online quizzes a major part of the media landscape. The reason? A 19-year-old college student in Michigan was making incredibly popular quizzes on the platform for free. And while quizzes may be an area with relatively low stakes in the real world, Buzzfeed also laid off it entire national security desk at a time when it’s needed more than ever. Buzzfeed generated more than $300 million in revenue last year. 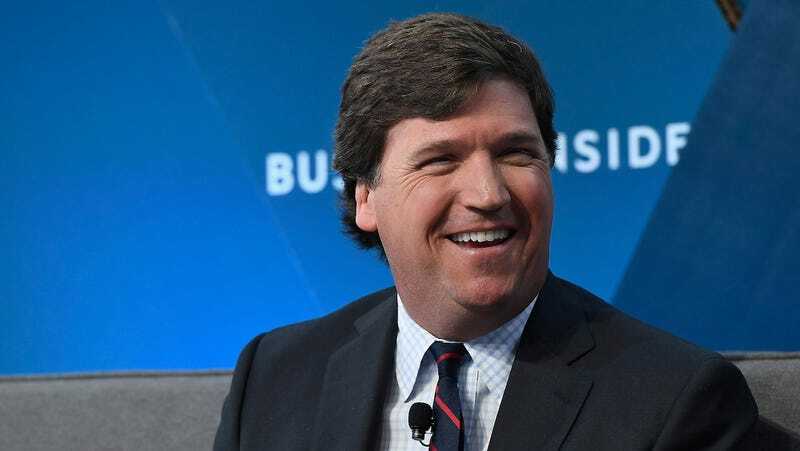 Remember When Fox News Posted Tucker Carlson&apos;s Home Phone Number Online?